I had a really good reading week, every book I read I enjoyed and reviews will be up for them later except for A Man Called Ove. 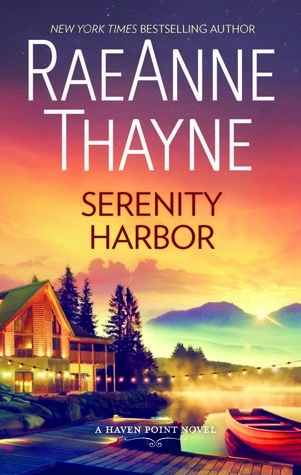 I finished listening to it this week, it was well narrated and I enjoyed the story of a grumpy, law fixated guy who just couldn't prevent himself from helping others and really he was much loved! 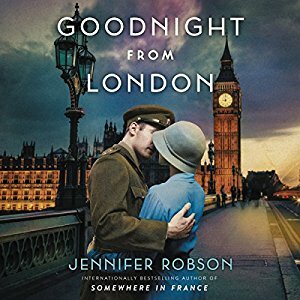 I always um and ah over what book I will listen to next and I finally settled on Goodnight From London, and so far I'm enjoying that too. I don't go looking for books set in the time of WW11 but ... I seem to find my way to them. I tend to do choose book like that as well. 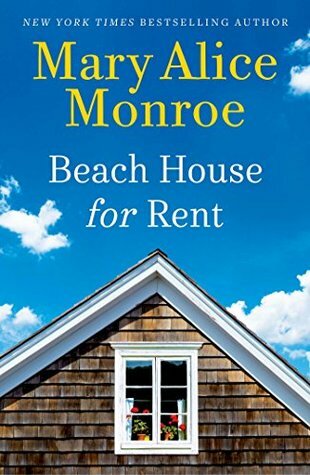 Looking forward to Beach House For Rent. Always enjoy MAM's books. Have a great week. I loved A Man Called Ove and liked the movie too. Glad you enjoyed it. I also really liked Small Great Things. One of my favorite books of 2016. The Jenny Colgan book looks good. I've got that on my list for later this summer. Beach House for Rent sounds interesting too. I also enjoy books from the WWII era. The Cafe By the Sea looks very tempting, too. And I should be starting Beach House for Rent this week as well. Thanks for hosting...and for sharing. I've had my eye on Goodnight from London. Hope you're enjoying it. Have a great reading week! I do enjoy a good book set in WWII as well, for some reason. And the Cafe by the Sea looks like a place I'd like to go and have lunch! I DNF'd A Man Called Ove, but did just finish Beartown and loved it! I thought I'd read A Man Called Ove and talked my husband into watching the movie a few days ago. I don't think I've read it. I must have confused it with something else. I laughed out loud how you said you don't go looking for WWII books but they seem to find you. I am having a lovely visit with my sisters and may not get to visit too many blogs. ENJOY your reading week. Good to see that you enjoyed the audio for A Man Called Ove. That one is on my Wishlist. I enjoy books set in WWII era as well, and Goodnight from London caught my eye. Have a great week! I am glad to be back posting and viewing reading blogs. I enjoyed A Man Called Ove also. I would not have learned how to pronounce OVE, if I had not listened to the audio. Goodnight from London looks good too. I will have to give that one a look see. All of your books look so good. 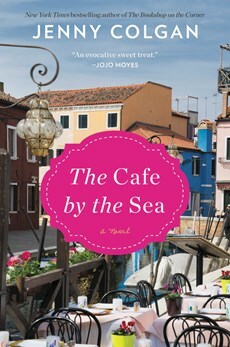 I have to add Cafe by the Sea to my list, that really has my interest. Have a great week! The Colgan and MAM books are on my wish list. I'll watch for your reviews! Am on a long list at the library for A Man Called Ove, everyone wants to read this book. Have a great day! Hope the audio of A Man Called Ove did justice to the book. I loved it. Thanks so much for continuing to host the It's Mondays! I haven't read A Man Called Ove and there is much division over whether folks liked it or not. I did read Beartown though and enjoyed it. I might like both the Colgan and the Monroe book, and I have Small Great Things on my Kindle already and haven't gotten to it yet. Why? I don't know. 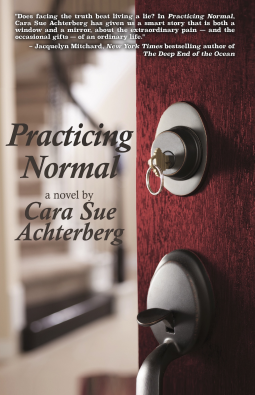 I lose track of authors and/or series that I really enjoyed-- maybe too much distraction from the overload of good titles I find on other readers' blogs! Two of my co-bloggers rave about Piccoult. I just want to pick my first Piccoult thoughtfully. Goodnight from London looks AMAZING! I always say I need to read more from that time period. 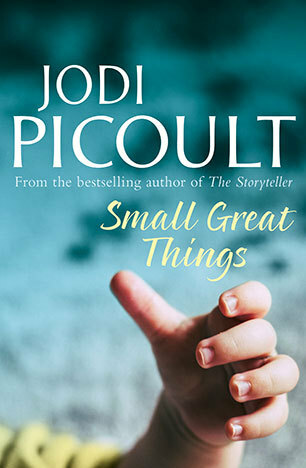 Oh, I just love Jodi Picoult novels! In fact, my son just gave me that one for Mother's Day a few weeks ago - I can't wait to read it! 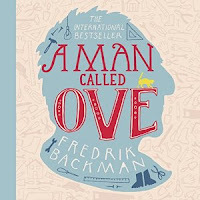 I really want to read A Man Called Ove, too. 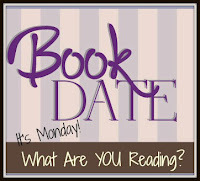 You've got some great books going! Hope you enjoy them! Thank you for the reminder--I've been meaning to finish Goodnight from London. I've heard lovely things about a Man Called Ove. I think I need to bite the bullet and read it! 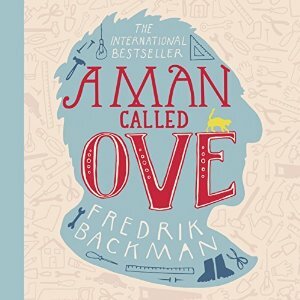 I didn’t know what to expect from A Man Called Ove, so I was really surprised as I got into the book. Enjoyed it. I’m reading Small Great Things right now myself and don’t want to put it down. So good!